Courage at the Plate! As a high school and college athlete, Jackie Robinson excelled in every sport he played - football, baseball, basketball, and track. Time after time, the young athlete broke local and national records. 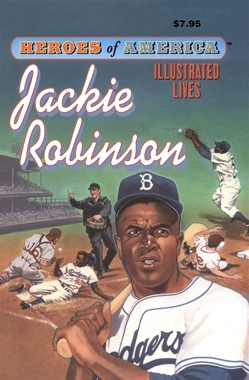 But it was when he broke the color line in professional sports, as the first African American to play major league baseball, that Jackie Robinson scored the most important victory of his life. Jackie changed baseball, and changed history. His is one of the most dramatic and enduring legends in all of sports.